I say lots of random things. However, a month later for whatever reason I get a text from David saying, “So about this vegan experiment… Lets do this!! Just after the holidays, okay?” What have I gotten myself into, I thought. I never actually really believed he’d agree, but not being one to back down from a challenge, I charged forth with the planning process. So here we are, the holidays have come and gone and I’m now on the countdown (6 days.) until I completely change my entire lifestyle for two weeks. To be honest, I’m nervous. To understand. If David and I expect people to be open about practices used in animal agriculture, we both need to be willing to be open minded about the other side of the spectrum. I frequently hear “How do you know you’re so right, when you’ve never been a vegetarian or a vegan?” They have a point… so here goes nothing. David and I will be blogging every other day about our experiences, sharing our thoughts, opinions, recipes and struggles. You can follow my journey here, his at FarmingAmerica.org, or through Twitter at @danibeard @Davidhayden7 #DandDgovegan. 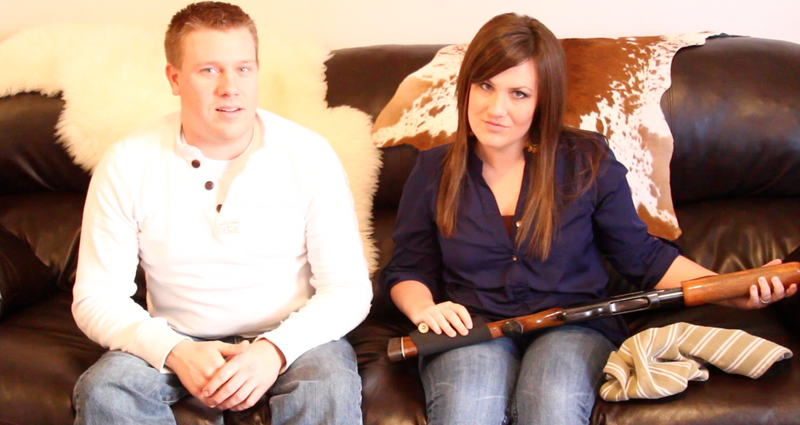 Screen shot from our video… Yeah, we went there. I speak for us both when I say this is going to be difficult. We are two of the most un-vegan people ever. With that being said, we could use all the encouragement and feedback you can give. Also, if anyone has any great advice or vegan recipe’s please share! This is going to be fun, right?! I think I’ll go have a cheeseburger now, while I still can. I really going to enjoy this. I absolutely cannot wait to read all of this! I’m a friend of David’s (from college days) and look forward to reading. My only consideration would be: is 2 weeks long enough for the whole experience? Maybe 30 days? Good luck! Hi Holly! Great thought, I actually wondered the same thing. On the PETA website they actually challenge people to live vegan for 30 days. However, for David and I to both be vegan for a month would be virtually impossible due to the fact we both work in the agriculture industry, and animal agriculture is a part of our every day lives, especially his. We planned this for these particular two weeks because neither of us have as many conventions, expos, meetings, etc. that would require us to be put in a position to cheat on being vegan. It is important to both of us to be as vegan as we possibly can for the time set. Thanks for commenting and for the luck!! We are really going to need it!! I agree Holly, 30 days would be great however my only draw back is that I am a meat scientist and it would be highly frowned upon if I work hand-in-hand with my customers and take them out to dinner and don’t partake in meat products. In addition, my job often requires me to try the products that I’m producing for customers, that would further hinder my position with my company. Very cool. I’m sharing this on David’s blog too. I’d like to hear what items you are surprised to learn are non-vegan. It’s always interesting to hear just how many items contain animal-derived products. This is very interesting and open minded of you both. I am very interested to see what ya’ll say about your personal experiments. So a couple things. 1. I haven’t been on your blog for a bit, love the redesign 2. I am adding you to the blog roll on my blog so I don’t miss these posts, 3. You are probably going to have to get rid of that cowhide since you are vegan now. I’ll take it. 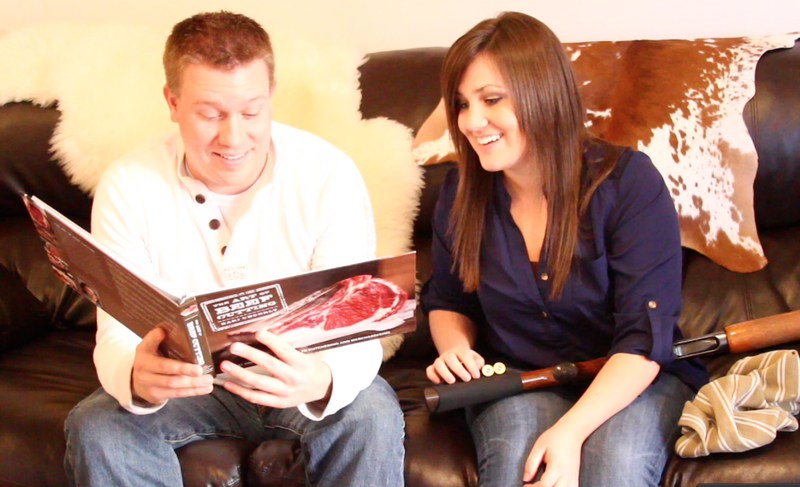 Gotta throw this one in there, The cow hide is mine and that was one stipulation that it doesn’t go anywhere lol. I’ll roll it up for safe keeping.